The ultimate sign of natural beauty are flowers. They can be easily integrated into any landscaping ideas one might have, because flowers are easily procured, and there is always a large selection of types and colors to choose from. 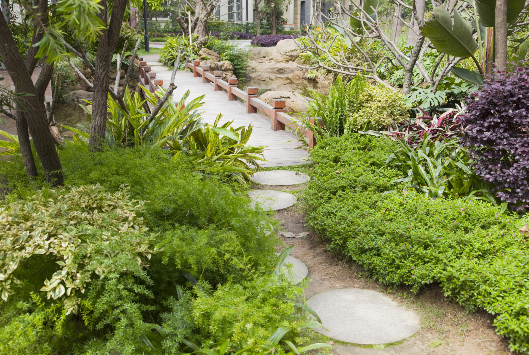 The biggest benefit of incorporating shrubs and trees into your landscape is they create privacy for your yard. The benefits of incorporating trees and shrubs into your landscape are they make life more pleasant and your home more efficient. Trees and shrubs separate your yard from everyone else's, screen private areas of your yard from the public view.